Get a crystal star anklet. 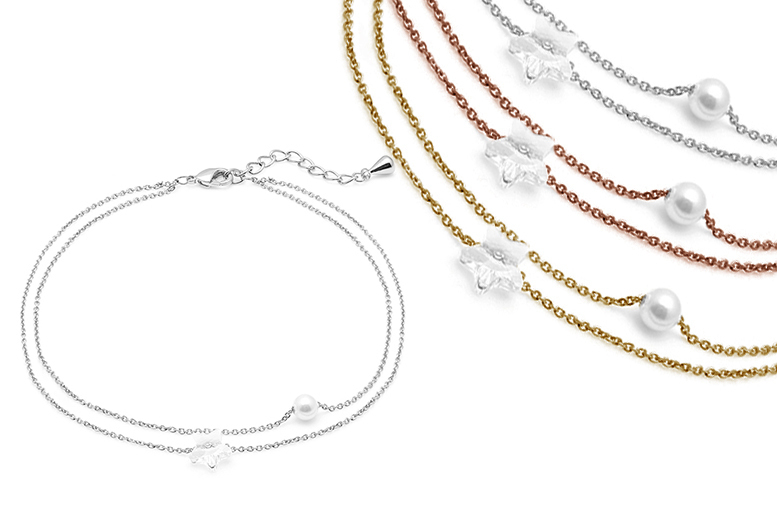 Choose from three beautiful colours: gold, silver and rose gold. With a double chain detail. Featuring a pearl and star charm! A beautiful addition to any jewellery collection.